We’ve all heard the saying “you have to dress to impress”. While we know first impressions matter when you meet someone new, did you know that the same can be said for your business? The exterior of your store is a reflection of you and your company. It reflects your brand, which is the backbone of any business. 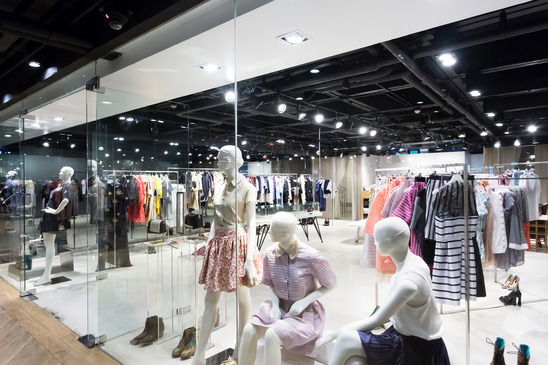 An unattractive storefront may cause customers to miss or pass by your store, moving on to a more appealing and attention-grabbing location. So how do you make sure you’re grabbing potential customer’s attention? It could be something as simple as a coat of paint, or fixing up the landscaping outside your store. Little changes can go along way to improving your store’s outward appearance. However, if you’re looking for a bigger change (and what some would call the “wow factor”), a custom glass storefront might be just what you’re looking for! Glass offers a modern, yet classic look that is always in style. A glass storefront creates transparency and a feeling of honesty between you and your potential customers. Allowing passerby’s to get a peek at what you have to offer can be a great way to entice them to come into your store to take a better look around. Tempered glass is four to five times stronger than regular annealed glass, which means it will take a lot more force to break through. If tempered glass does break, it shatters into tiny pieces, minimizing the risk of injury and making clean up safer. Double paned or insulated glass creates an extra layer of insulation for your building. This means that the hot or cool air in your store will stay in your store, which equals energy savings for you! A new glass storefront will not only give your business’ curb appeal a big boost, but it will also save you money down the road. Marcotte Glass can help you design and install the perfect glass masterpiece for your store. If you’d like to learn more about custom glass storefronts for your Calgary business, give the team at Marcotte Glass a call. They are ready to answer any questions you might have.